Find below the list of top schools in Jubilee Hills - Hyderabad with phone number, address, 360° School tours, 2018-19 Admission forms & Fees, photos, facilities & more. 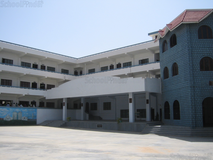 Chirec Public School Jubilee Hills is located in Jubilee Hills, Hyderabad. It was established in 1989. This school follows the CBSE,IB,IGCSE board. The school has English medium. 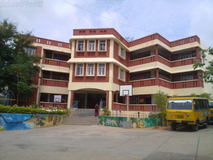 P. Obul Reddy Public School was started by Andhra Mahila Sabha as Andhra Mahila Sabha Vidyalaya in the year 1989 in Jubilee Hills in a two room tenament quarter. The school had a humble beginning with a student strength of 30 from LKG to Grade 3 with 3 teachers. Later, the school was relocated to the present site of 5.25 acres provided by Jubilee Hills Co-Operative House Building Society Limited, in an elevated location with a panoramic view of twin cities. This is an English medium, Co-Educational, Senior Secondary School affiliated to the Central Board of Secondary Education, New Delhi. The school over the years grew from strength to strength to the present stature. Today we have a student strength of 2800 and staff strength of 120 supported by 40 office and subordinate staff. 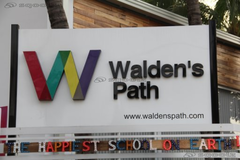 Walden’s Path believe all children have inherent genius and facilitate The Atelier Studio to nurture the child’s creativity, imagination and communication skills. With The Atelier Studio, a child’s progress is documented thoroughly with a focus on how the child is learning, how their learning can be facilitated to ensure their originality, creative thinking, emotional development and how their social consciousness can blossom during the crucial early childhood years. 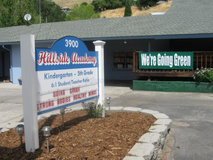 Welcome to Hillside School, Hyderabad. Our Co-education school prepares your child for the future with a global insight in mind. Our students are equipped with academic excellence, confidence and leadership qualities they need, to face any challenges in the new competitive world. We provide our children with an innovative, challenging and enterprising learning environment. We blend extracurricular activities into every students academic life seamlessly. We place a strong emphasis on discipline as well sculpting your child into a future ready individual. 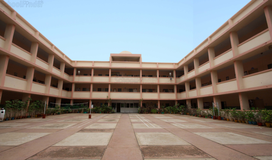 Jubilee Hills Public School is affiliated to the Central Board of Secondary Education, New Delhi (Affiliation No. 130071) since 1991. Established in 1986, the Jubilee Hills Public School, sponsored by ?ubilee Hills Education Society?has achieved significant results in providing high quality education at the Primary, Secondary and Senior Secondary under the CBSE pattern. 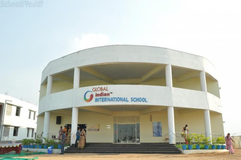 The School is a non-profit organization disseminating education to every strata of the Society. Jubilee Hills Public School is an ISO 9001:2008 Certified School.\nJUBILEE HILLS PUBLIC SCHOOL is located in sprawling area of 6 acres for the school to provide much-needed educational facilities to the public under a neighborhood school concept.\nWith a humble beginning in 1986, and with unrelenting efforts, unified minds, selfless dedication and philanthropic outlook of the management and progressive individuals the Jubilee Hills Public School was created.\nToday the school provides highest quality education and now caters to about 2350 + students from Class I to Class XII and is assisted by a highly qualified 120+ Teaching personnel. 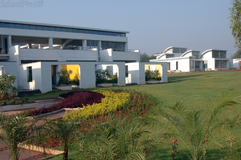 As far as the academic excellence is concerned, the school has an illustrious record of 100% results at the Board Exams for the past 23 years, out of which 90% is inevitably distinctions and first classes.\nThe endeavor is to provide students with overall personality development through academic excellence and communicative, creative and sportive skills and build their confidence while being rooted to their own culture with a mindset to be both modern and democratic.\nJUBILEE HILLS PUBLIC SCHOOL has ensured that its portals of education provide the highest quality education at the most reasonable and affordable fees. The School is programmed to develop and nurture the innate creativity and inquiry in students by using the inherent opportunities of the information society and prepare the students with a sense of belonging to the civic society, a zeal for community service, with necessary emotional and moral strength to compete globally in an exemplary, versatile and sustainable way. Orchids The International School is located in Jubilee Hills, Hyderabad. follows the CBSE board. The school has English medium. 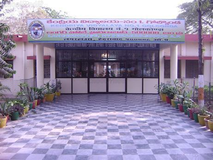 Shivaji Vidyapeeth School is located in Jubilee Hills, Hyderabad. It was established in 1983. This school follows the CBSE board. The school has English medium. You may also be interested in other schools of Hyderabad. 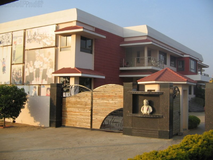 Roots Montessori School is located in Banjara Hills, Hyderabad. follows the CBSE board. The school has English medium. Hyderabad emerged as an important seat for learning in southern India and you can find some of the best schools in Hyderabad. Hyderabad is known for its long tradition in education dating back in the pages of the history when the British were ruling India. 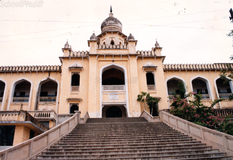 In 1930s, the Nizam of then period established educational institutions in the form schools, madrasas and colleges. The list of schools in Hyderabad consist the names of the top schools in Hyderabad offering best education to the students. Although there are many top schools in Jubilee Hills - Hyderabad it is not necessary that each one is suited to your child's needs. That is why you need to analyze and consider every factor about the best schools in Jubilee Hills - Hyderabad before settling for one. Sqoolz's list of best schools in Jubilee Hills - Hyderabad makes this job easier for you. Find every detail that is necessary before choosing the right school. You can also take our virtual tour, a feature solely designed to give parents a sense of assurance.